The German government is renewing its efforts find answers to the threat of numerous diseases that can be transmitted between animals and humans. The research backed by the German agriculture ministry is an extension of the 2006 One Health research agreement between the ministries of education and research, food and agriculture and health as well as the defence ministry. 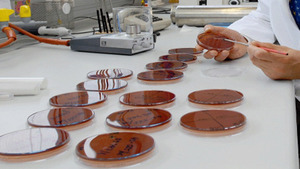 It is part of the German antimicrobial research strategy – DART 2020 – that was adopted last year. The research will be looking at diseases such as avian influenza, MERS coronavirus as well as exotic diseases such as Ebola and Zikavirus. The research will look as the conditions that diseases such as MERS can be transmitted from human to human and why only certain forms of influenza in birds can be transmitted to humans. “It is important for us to align the research questions even more than before to the practical requirements and health. So we want to ensure that research results are rapidly converted in the human and veterinary medical practice,” said Federal Research Minister Johanna Wanka. 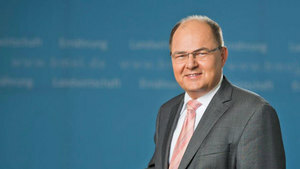 Federal Health Minister Hermann Gröhe: “Two thirds of all infectious diseases are caused by pathogens that are transmissible between animals and humans. The agriculture minister said that human and animal health issues are inseparable and the German One Health approach had been praised at the recent World Climate Summit in Paris. The research will be looking at the development of new models on the epidemiology of zoonoses and the study of the role of vectors such as mosquitoes for the control of the diseases. It will also look at sources in companion animals and wild animals. This entry was posted on February 3, 2016 by agedchrisharris in Cattle, Meat, Pigs, Poultry, Sheep, Uncategorized and tagged Avian Flu, Ebola, MERS, Pathogens, Zikavirus, Zoonoses.